Bill has been an information systems professional for more than 20 years. He enjoys writing about cooking, local history, and technology. Crowdfunding to Fix a Software Problem? If you have upgraded your iPhone or iPad to iOS 11, the My Secret Folder app will no longer work and you can't retrieve your files via the app. 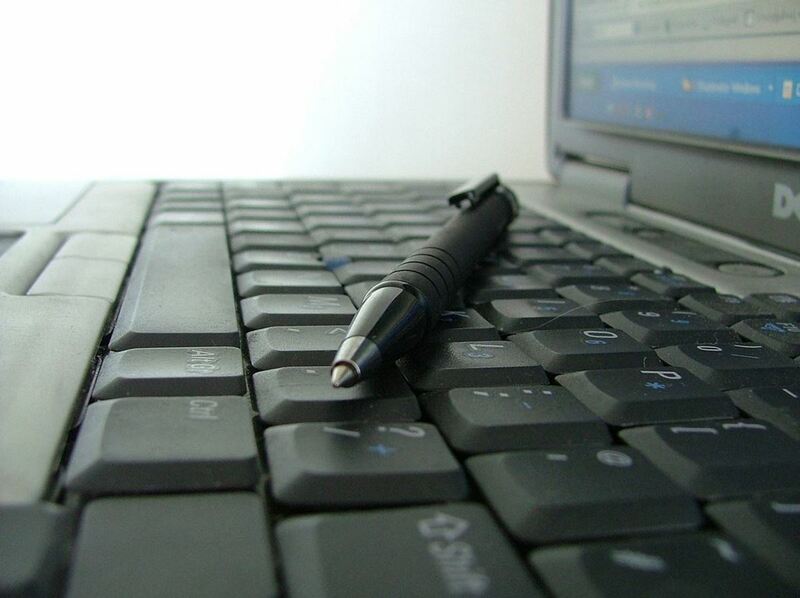 This article will show you how to recover those files using other means. Red Knight Interactive, the creators of the app, have started a crowdfunding page to raise money to fix the problem. I'm sure their intentions are pure, but skeptics might see it differently. Here is a quote from the page. "This is a frustrating and heartbreaking end for the My Secret Folder application, as the company no longer has the time, money and resources to develop an update for the application that will support Apple’s new 64-bit only iOS 11. If you have content in My Secret Folder and you are about to upgrade to iOS 11 or already have upgraded like many of you have, perhaps you will purchase a new iPhone 8 or iPhone X over the coming months etc, we recommend that you contribute to this new crowdfund so we can fund the app update and transfer your content out of either My Secret Folder or My Secret Folder Classic before you lose it forever!" Don't despair. There is a way to recover your files from the My Secret Folder app without waiting for Red Knight to reach their crowdfunding goal. The methods shown below are for PC but will work on Mac with some modifications that are probably obvious to Mac users. A PC or Mac that has iTunes installed. 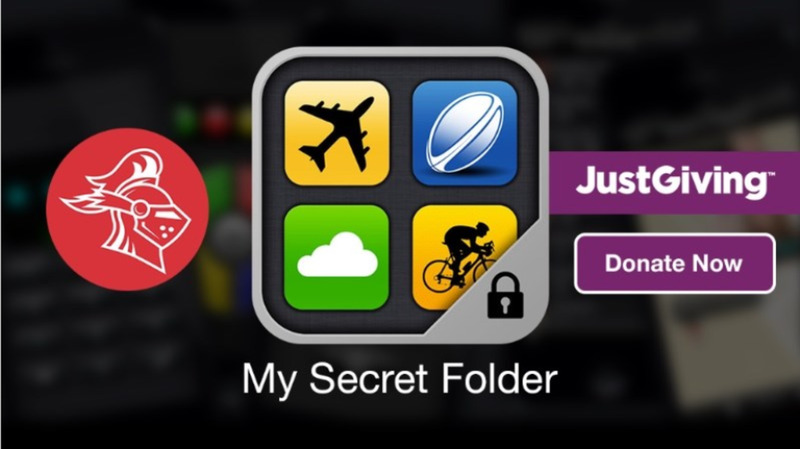 Your iPhone or iPad that has My Secret Folder containing your files. Going forward I will refer to iPhones but these instructions are the same for iPads. Click on the device icon as circled in the screenshot below. Make sure "This Computer" is checked and "Encrypt iPhone backup" is NOT checked. Click the "Back Up Now" button and wait for it to complete. It can take several minutes depending on the size of the backup and the speed of your computer. If you haven't already installed iExplorer on your computer, do so before proceeding. The link for the free download is above. Launch iExplorer on your computer. Click on "Continue in Demo Mode"
Find the device name in the list on the left side. 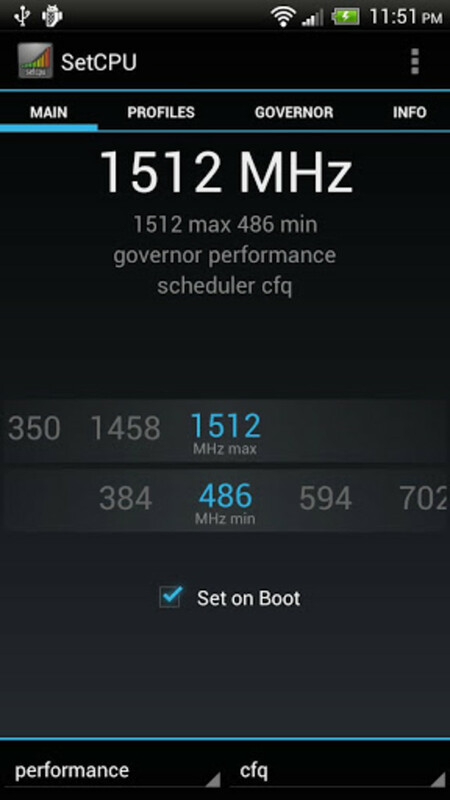 Expand the choices by clicking on the arrow to the left of the device name. 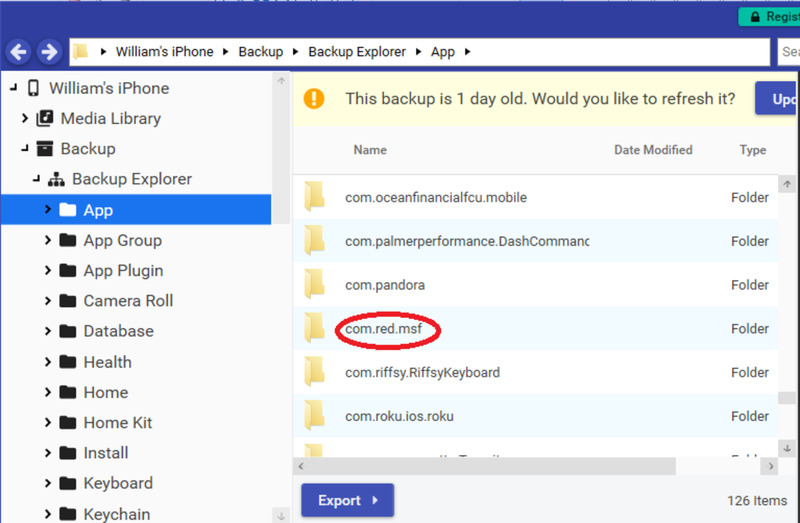 Click on "Backup" to see if this is the most recent backup. Scroll down to find "com.red.msf". If you have the "Lite" version of My Secret Folder, look for "com.red.msflite". If you have an older version, try looking for "com.brightai.SecretFolder". A reader (KylaWitch) reported that she was able to find her notes in App/mycom.pragmatic.my/library/application support and then a folder called SecretApps.sqlite. She was able to view the content in Windows Notepad. If you use the "Calculator+" app, you can find the content under xyz.hypertornado.calculator/Library/Data. I've noticed that video files are saved with their proper file extensions but on my PC, the photos are saved without an extension. Renaming them and adding ".png" did the trick for me. If that doesn't work, try ".jpg". Some applications will open an image file even if it has the wrong extension, some won't. If you still can't view them and have a Windows-based PC, try downloading the freeware program Irfanview, which can work with many types of image files. It will open the file and rename it with the correct extension. I've installed the "Lock Photos Secret Photo Vault" app by Mo Wellin from the App Store as a replacement for My Secret Folder. The free version works well but it plays a commercial each time you open it. After a few times I decided to spring for the $2.99 for the upgrade which has no commercials. 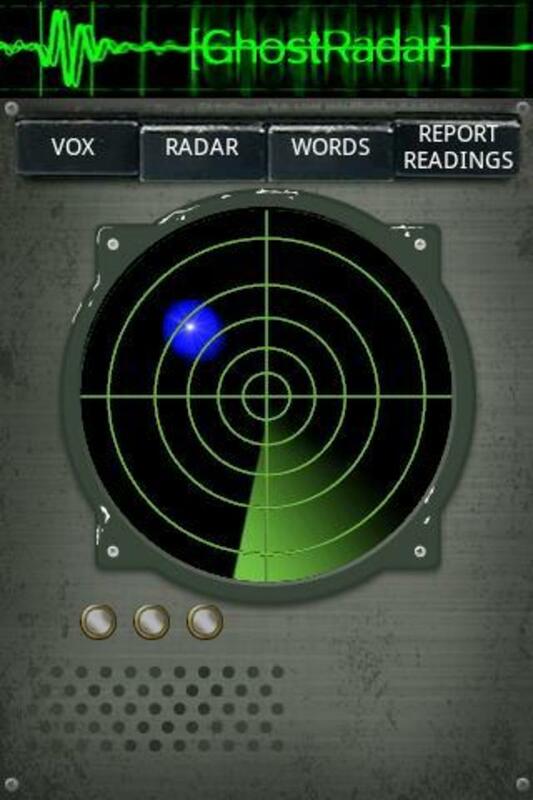 I chose this app because of the reviews but there are other similar apps available. 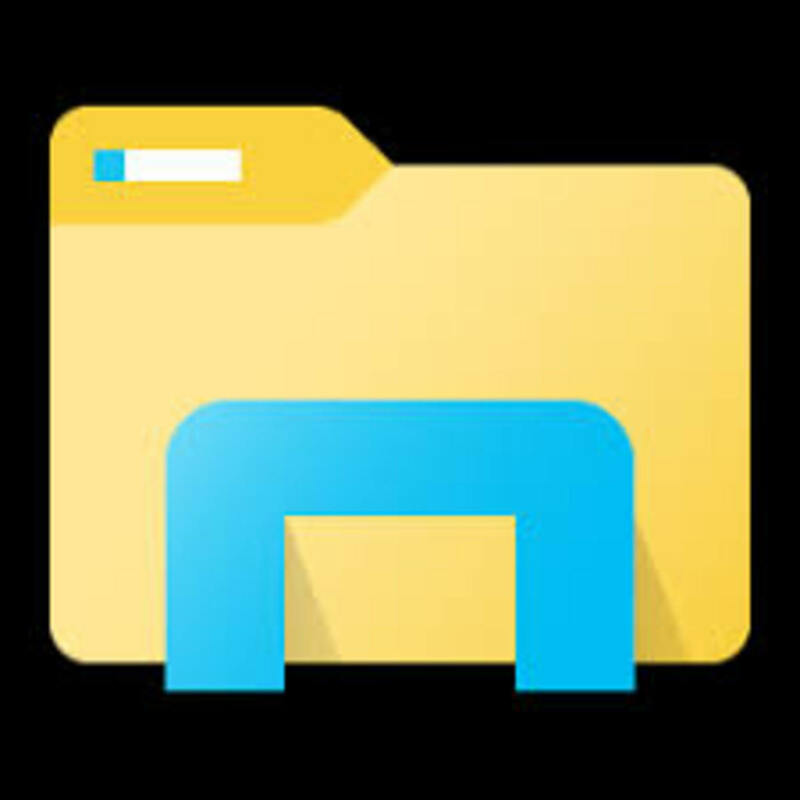 Hi bill I’ve tried this and still can’t find the files is the for the photo vault app by Mo Wellin ? @Singh V - I would try to drill down to every folder in the backup. Hi Bill, No, there is only a “Export “ button. And no other photo of thumbnails or any file names above it. 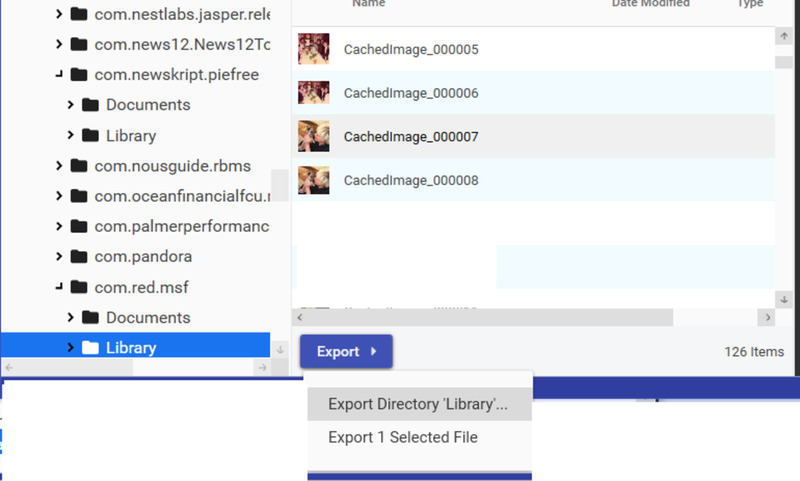 @Singh V - When the "Export" button is displayed on the screen, can you see the photo thumbnails and filenames above it? @Saeed. If you have the backup on your Mac you should be able to follow the steps above to extract the photos. Restoring the app to your phone won't help as the problem is with the app not working with recent iOS versions. I am using secret file lite in my mac i did the back up and did the factory reset but after restore my back everything was fine but the photos inside the secret file lite app were not back i tried lot didn't get. Can you please help me how to get back. "com.iwinni.mysecretphoto" having folder Documents, having file "SecretData.sqlite". this file is showing size of 68.6 mb. i have export this file to my PC, But not able to open it. Other folder Library having two folders Preferences and Cookies which having 3 files with PLIST as file type appears containing no data. 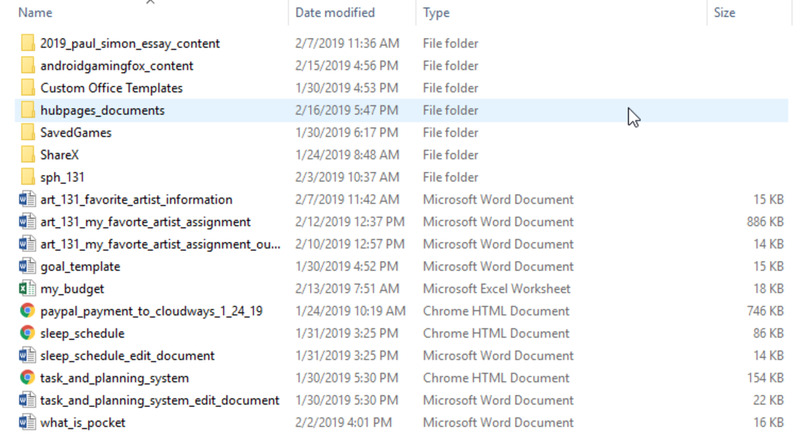 Actually, i had 5-6 separate folders in this app having Pictures.So i am not sure if those suppose to be see here under Documents folder OR Secretdata sqlite file is having everything in it OR I have lost everything in it as well. Is there any chance i can recover my data? Also, i have tried with new backup of my phone having IOS 11.0.3 on PC and with two existing backups of iPhone as well saved on my Mac before upgrade to IOS 11.0.3. but no luck. Hi Singh V. I'm not sure but it is worth a try. Will it work for a app named My secret photo(a puppy with a lock, as a app icon)? @Jordan. The iCloud backup is likely encrypted and won't work. 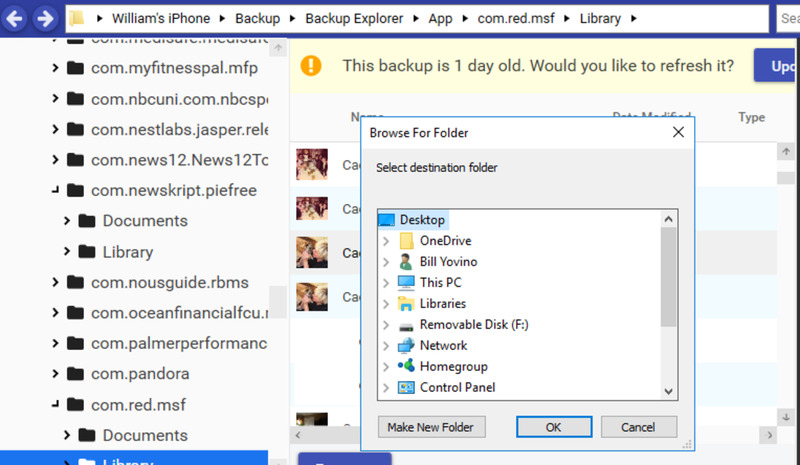 If you still have the app on your phone, then do an un-encrypted backup to your computer and try the above steps. Can you rescue from an iCloud backup? Hi John Michaels. Do you see the thumbnails within the iExplorer app? You can try exporting them and using Irfanview (free download) to open them. Irfanview will open media files even if the file type is incorrect. I have found the files however when I try to open them on Mac it reads “file may be damaged or use a file format that preview doesn’t recognize. I have tried opening with other apps and nothing seems to work, any advice? Enelokir - The only way is to perform the steps listed above, starting with an un-encrypted iTunes backup to your computer. 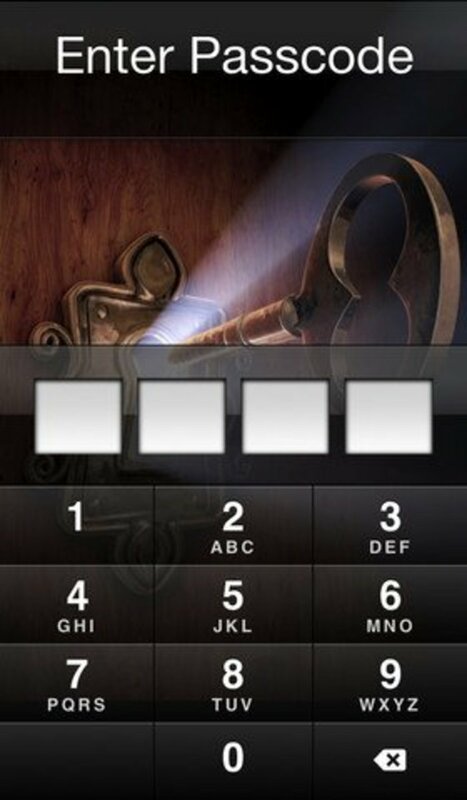 I’ve got the “secret vault lock photos photo” app and I know my pw for the first log in, then I have a another pw for a folder in my videos that I’ve forgotten, I’ve tried to retrieve the pw by tryin to keep dialling the wrong pw but nothing happens and have problem to get in touch with the app-support so could you please help me if possible ? @Bill. I have never backed up iPhone using iTunes with encryption on, it is always off. This encryption I believe is within the app itself, given one needs a passcode to open and access the files inside it. @Slim. Are you sure that the backup was created with the Encryption box unchecked? If not, do another back-up from your phone with "This Computer" checked and "Encrypt iPhone Backup" unchecked. If that was done previously, then I would keep checking the other folders in the backup for the unencrypted files. I managed to export the folder with the photos, which was at it.ideasolutions.mediasafe with the export folder standing at 2gb. I can see many fines with extensions .jpg.encrypted... .mp4.encrypted but even renaming to end in .jpg or .mp4 did not allow to view the files in photoshop, paint or other imaging app. My app remains in waiting to download mode on my iPhone and can't be updated at I get a message that 'app is no longer in the App Store'. So I am still stuck on what to do. You have helped a great deal (80%) and maybe may know what to do with the remaining 20%. @KylaWitch. Check to see if you have any other (older) unencrypted backups on your computer. You can also try backing up the phone again. Thanks for all your help. Sorry, I have read by through my comments and I think I haven't actually explained what happened very well, so here goes. I backed up my iPhone before doing the latest update. I then did the update and my phone crashed in the middle of it, after talking to apple support and running through a few options, the only solution was to take it back to factory settings and then restore from the backup. I did this. I did not realise that the company that run my SecretApp was having issues affording upgrading to the apple updates so when I restored my phone and clicked on the app, it tells me that this app is no longer available in the app store and I cannot access it. I then googled it and found the crowdfunding page, with links to your page. I have downloaded iexplorer but nothing in my previous back up seems to be my photos and notes from this app. None of the names mentioned in this thread are there and I have been through anything else that looked like it could be it and there is no information. iexplorer says that my back up does not have encryption. A friend of mine has an iPhone on an earlier update so I could restore my backup to that and I thought that might work and make it so as my SecretApp would reopen. However, there also seems to be a lot of warnings that putting SecretApp on a new device would lock it forever. I am absolutely lost without the photos and notes I have lost (including some photos of my Mum who passed away and various passcodes) so any advice about what I can do is gratefully appreciated. This is not my area of expertise I'm afraid. Many thanks for reading and considering, it is much appreciated. @Tony999 - You may have iCloud backups enabled. My back up did have encryption disabled - it shows that. I think I will have to try going through all the apps but there are lots of them and none of them seem to make any sense in terms of 'belonging' to the secret app. 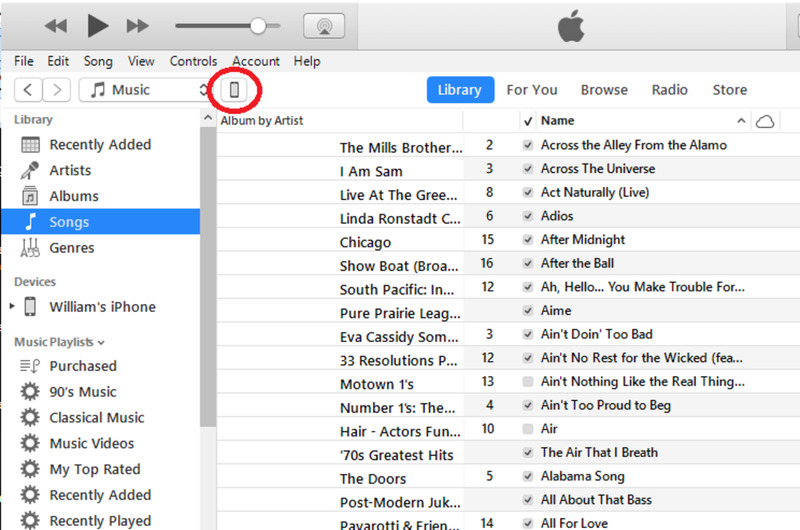 But i cannot backup on itune because the back up now button 's grey out. How can i fix it? I would try backing it up to your computer again, making sure that you have encryption disabled. You can try clicking on the various app names and see if any of them contain the content you're looking for. Hoping you can help - I have SecretApp on my iPhone and had no idea it wouldn't work with the new iPhone back up. I have downloaded iExplorer but cannot find it listed in the apps under either of the names you have mentioned, nor any other name that makes any sense. @papagore - If you have the un-encrypted backup on your computer, you don't need the app to retrieve the content. @Fulbio - If you're talking about the iExplorer app, click on "Continue in Demo mode" like it says above. There is no cost to following these instructions. It’s very annoying that every single time I go into the app I get presented with the DONATE page. I’ve donated already $10 and keeps on coming up. Is there a way to make it STOP? I'm glad it helped you. Thanks for the comment. OMG!!! Thank you so much for that!! I thought I will never recover my information!! THANKS SO MUCH! THANK YOU! Muhammad - Try looking in other folders for the videos. You may just be seeing the thumbnails. Muhammad - If you have an iTunes backup of your iPhone (or iPad) on your computer you should be able to recover your files. Design88 - Which app is that? Jian-zz. Did you do a backup to your computer in iTunes? Hi Brady. Are you sure the backup was not encrypted? Are you able to open the SecretFolder.sqlite folder? Thanks Bill, I had ‘MyFolder’ by Red Knights. I followed the instructions but when I expand the ‘Library’ folder I get a file ‘SecretFolder.sqlite’ of 61kB size. I have a ‘Documents’ folder which appears to be empty and a ‘Preferences’ folder with a small file in? Is there still a chance I can recover? Mac. And yes it’s a normal laptop. Never had any issues viewing any files before. It’s obviously something to do with my secret folder. Damn app. Luckily it’s just nudes, so I’ll survive without them. Probably for the best anyway. @Garrett - Mac or PC? Are you able to view .png files on your computer? Right. So I did everything correctly. It was fairly easy. And so were your instructions. As I mentioned, everything other folder works. I found the correct my secret folder folder and it shows all of my images and photos... they just aren’t visible. They show blank pages that say cached images as if they didn’t load properly. And again, there is no export button so I can’t even download them to see if they’ll show up properly or not. No, it should create another backup. You can check the date in iExplorer. Initially it was set to encrypt, but I backed it up again afterwards without encryption. That should overwrite the initial backup right? @Garrett- I haven't come across this issue before. Are you sure that the backup was done with Encryption disabled? No, never deleted. As I mentioned all my files are listed, but they just show blank pages not actual images. 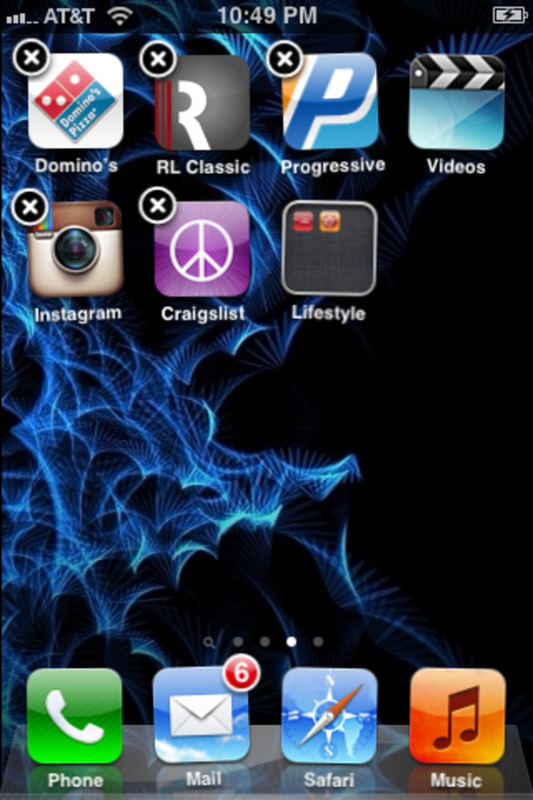 So obviously I’m in the right folder and they’re there, just not visible. Also how would I export them anyway? I see no option. @Garrett - Depending on which version of the app you have, the app's filename in the backup can be different. I would try looking at the others. You did the un-encrypted backup to your computer in iTunes, right? I hope you didn't delete and re-install the app before backing it up - that would be unrecoverable. Everything works except for the my secret folder section. Not in the app folder itself. All “blank page” icons all titled as cached images. I tried your method and it did work... kinda. All of my files show, but they all display blank pages. They say cached photos/videos, but don't actually show photos or videos. I tried the app update as well, but it still shows the stupid "developer needs to update this app to work with ios11" message. Any other tips? I also noticed that there was no export option for me either. 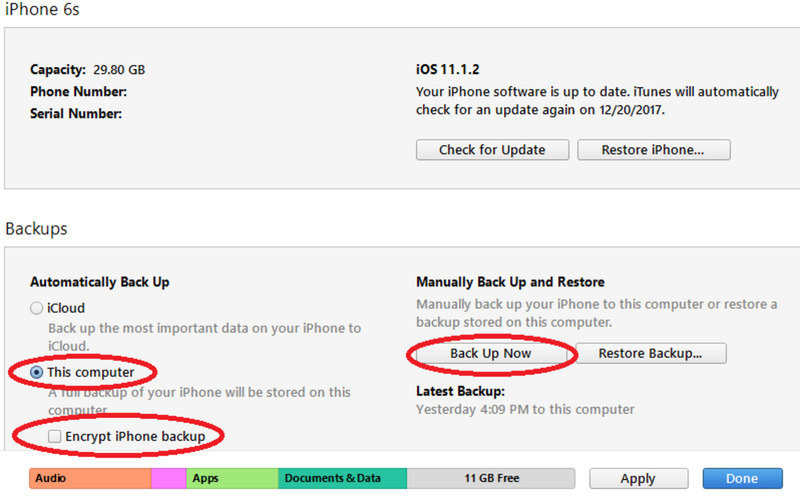 @migsgreen - The instructions are shown above under "Make a backup of your iPhone". @Shadd - Don't restore your phone. Use the procedures show above to extract the files from the backup. I have the backup from maybe 3 months ago. Will that revert my phone to the state it was at the time of the backup? Embarassing I know, but I am so not tech savy. How do I do an un-encrypted back up of my iPhone? Do you still have the unencrypted backup? I was able to recover everything and everything was fine for a few months. I just got a new phone today and now when I go to the app it doesn’t recognize my password. Help!! @migsgreen - I think it depends on which version of the MySecretFolder app you have. Readers have told me that they were successful with notes but I've not been able to do it. Have you tried upgrading the app? They have a new version that should recover your files. Make sure to do an un-encrypted backup of your iPhone to your computer before trying to update the app. @Abdul salam - You will need to find an un-encrypted backup of your phone in order to rescue the files. hello, can you extract "notes" from mysecretfolder also? unfortunately I have lost the rv app as I format my I phone. Can i have back the app with all the data..
@magnet43 - Are you sure you're expanding the correct application? Contact me through the author contact link above. I'll try to help. Provide as much information/screenshots as you can. Ive followed all the instructions you provided (on mac) till i get to the section where you mention library. when i click on library, it expands again and shows preferences and cookies which are expandable too. I looked through to no avail and it truthfuly id frustrating when i know i am close. could you elaborate on what to do to access the files using the programe you provided. Many thanks in advance. What can I do if my phone is iOS 11 and my back up isn’t on the device it is on iCloud backup? I have an iPad with the older software but it won’t let me restore the iPhone back up to the iPad. I'm glad it helped, Roberto. Thanks for the feedback! I tried it with othert apps and worked as well. @Hajar - Wenn Sie ein iTunes-Backup auf Ihrem Computer haben, können Sie die Dateien retten. @JJ People have told me that they were able to rescue notes but I wasn't able to get it to work. Red Knight has come out with an update for the app. You may want to try that. Do you know if this works to recover the "notes" files? I can't seem to find the files as I had important notes written down. The pictures worked fine though. @Nick Ryan. Glad it worked, thanks for the update! @Michael Green - I saw that. Some people with older versions of the app will still need to use this method. I would be reluctant to trust them going forward, so I suggest you find another app to store your files. As long as you have the space, there is no harm in keeping two sets of them. They’ve updated the app so it is compatible with the new iOS!! JEP, I'm not familiar with Secure Vault but I'm guessing this might still work for you. You backup your entire iPhone or iPad in iTunes, not just the app. None of these worked for me. My app is called Secure Vault but maybe was an earlier iteration. I could find the folder (on a mac) but there are no files. I went into itunes and there doesnt seem to be a way for me to make the backup select that app as a backup. I can see there are about 7gigs in the app, but I dont think I can figure out how to get it to back up that actual content of the app. I found them in the com.brightai folder. Thank you Bill and Donna. You guys are great! @Donna. Thanks for that information. I'll add it to the article. @Larry. Do you have the "Light" version of My Secret Folder? If so, look for "com.red.msflite" in your backup. You are amazing!! Thank you so so much!! You're a living legend. They will write stories and sing songs of your heroism. @VF. So glad that it helped you. Thanks for the kind words! You are the best, I was able to retrieve all my stuff, and it didn’t work as first then I rename all the pictures with .png. Now I have all my stuff. Thanks!!!! these directions are spot on. Thanks Bill, not the end of the world if unrecoverable! Hi Seb, I added a note and tried retrieving it but have had no success. I'll keep searching. Hi Seb. The version of the app on my iPad2 is v1.2. I'm not sure if that was from Red Knight or the previous owner. I didn't have any text files on it but I'll add some and see if I can rescue them. Check back here in a couple of days. Hi Bill! I have the original app by BrightAI, so the Red Knight update won't help me apparently. I've recovered the cached photos from this method, but not the text files - do you have any idea how I could recover those?